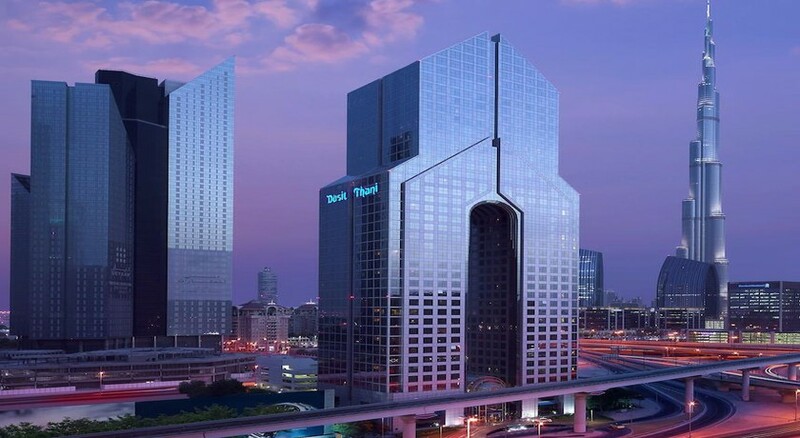 Standing out for its futuristic architecture, a high-tech glass tower outside but with traditional Thai décor inside, Hotel Dusit Thani Dubai is a luxurious 5-star property in the heart of Dubai’s city centre. With 321 fully renovated rooms and suites, a large rooftop pool and modern banquet hall, the hotel enriches the traveller’s stay with warm Thai hospitality and the best of guest amenities. Experience the sunny city of Dubai in the most relaxed way in the lap of luxury as you enjoy benefits such as an exotic Thai buffet, choicest drinks at the in-house bar Nippon Bottle Co., and amazing therapies at the hotel’s spa. The all air-conditioned hotel also offers free Wi-Fi, car park an attentive concierge service and 24-hours in-room dining. 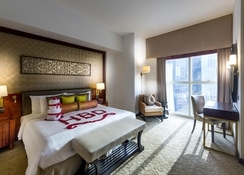 Hotel Dusit Thani Dubai is located in the heart of Dubai’s business district on Sheikh Zayed Road. Within walkable distance are the International Convention Centre and the World Trade Centre. The hotel offers free daily scheduled Shuttle Service to landmarks like Dubai International Financial Centre, The Dubai Mall, Kite Beach Park and Zabeel Mosque. The airport is 11km away. 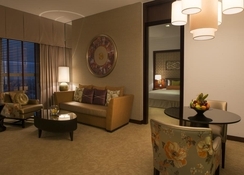 Hotel Dusit Thani Dubai has 321 guest rooms and suites designed in contemporary Thai style and furnished with the best of guest amenities. 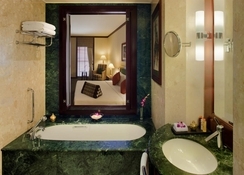 The spacious deluxe rooms come with a work station and chairs, satellite TV, iron & ironing board, minibar, safe, pillow menu, daily newspapers and periodicals, en-suite bath with hairdryer, slippers, bathrobes and toiletry set. 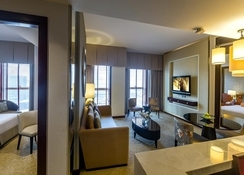 The suites may have an additional living room, Jacuzzi in bath, dining room and bar and marvellous views of Dubai cityscape. 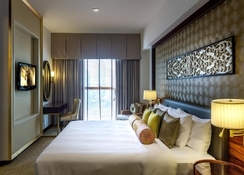 Hotel Dusit Thani Dubai’s dining outlets allow guests to embark on an epicurean adventure, they can enjoy an international buffet at The Californian or relish authentic Thai delicacies at Benjarong, the pioneering restaurant. There is an Italian restaurant, a contemporary Gourmet Jones the Grocer, a high roof Nippon Bottle Company bar and a poolside bar. The hotel caters well to recreation and leisure pursuits of gusts with an excellent array of amenities. Guests may enjoy splash-tastic fun moments at the hotels large rooftop pool. There is a spa with hot tub, fitness centre, a beauty salon and in-house boutique shops for a dose of shopping therapy. 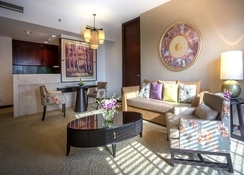 The guests can also enjoy The Dusit Club Lounge. There are a host of sports and leisure facilities nearby. The main swimming pool and pool area are down for maintenance till June 5, 2018. Alternative arrangements have been made for guests to access the pool at a nearby hotel.